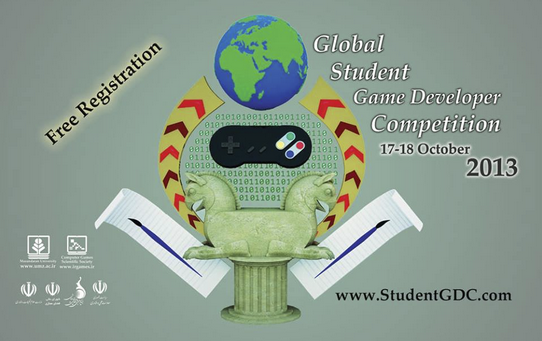 The GSGDC is a 24-hour students-only game development compeition now open for registration. It was inspired by Global Game Jam and overseen by Iranian GGJ organizers, mainly Hamzeh Azad. It is sponsored by Persian Games, Tunisian Game Developers and Mazandaran University. Participation is free and completely online, but the organizers are arranging an in-person award ceremony taking place in Tehran in March. Gorm and I are on the juging panel. Please read their press release below. During the 6th Digital Games Research Association (DiGRA) Conference, The Global Game Jam Research committee will host a workshop on Global Game Jam. The aim of this workshop is to explore research opportunities within Global Game Jam 2014. 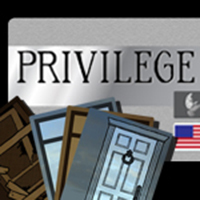 On Tuesday August 27 at the DiGRA conference in Atlanta GA, we will host a workshop on the Global Game Jam. The objective of this workshop is to promote the discussion forward towards synthesis of methodological knowledge. The outcome will be a greater understanding of the academic and professional research potentials of the GGJ. This information will be available to the Global Game Jam (GGJ) and game development community through the Global Game Jam website. The workshop will be spent discussing case studies, existing literature, and sharing the experiences of the group. The plan for the DiGRA GGJ workshop is thirty minutes of presentations from key GGJ/Jam organizers which will be followed by an hour participatory workshop where groups brainstorm potential future research opportunities within the GGJ. Written by GGJ Toronto organizer Troy Morrissey. 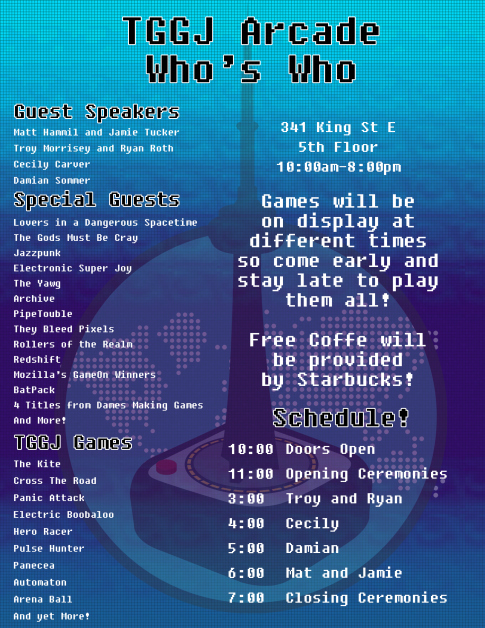 Toronto Global Game Jam Arcade is a daylong super arcade celebrating some of the games made in Toronto for Global Game Jam 2013 and the people who created them. With about 240 people in attendance at TGGJ 2013 it is hard to get to play every ones games at the jam, not to mention everyone is so exhausted. So we wanted to put on an event where everyone could get together and enjoy each other’s creations. There are thousands of games made each year during the annual event – so many it is impossible to play them all (thank heavens for my grad student Vince who played through this diversifier). This year I was asked by the Games for Change Festival to curate games that highlighted the diversifier, the Bigger Picture, beyond the theme of the jam, jammers were challenged to create games for social good. More than 300 Bigger Picture games were created at our 2013 jam. This year the games selected above will be on display in a special arcade at the 10th Anniversary Games for Change Festival along with games selected from the amazing people at Babycastles and Hide&Seek. GGJ is so excited to be a part of so many communities and we are eager to grow. We are actively looking for new ways to increase our outreach, grow participation, gather greater diversity and intensify research opportunities. We are pleased to announce GGJ speakers at several upcoming conferences, if you are near, please come hear more about the Global Game Jam and join our community. The inaugural workshop on the Global Game Jam (GGJ'13) held at the FDG 2013 conference is accepting submissions up until March 21st, 2013 (extended). The Global Game Jam aims to stimulate innovation, experimentation, collaboration and creativity. With our partnerships we look for initiatives that bring the values of GGJ to a broader audience and/or creates opportunities for particpants to connect with their games on a broader scale. This year Global Game Jam had a partnership with Mozilla Game On, an initiative that challenges game developers to "re-imagine the web as a gaming platform and use the power of the browser to revolutionize the way we make and play games". We had an amazing GGJ 2013! Bigger and better than our previous jams. We received a great reaction to our theme and diversifiers, to our keynote speakers Erin Robinson and Bret Victor, to Adam and Amanda's great "day after" teaser and the wonderful message from the great Sid Meier. All of this is thanks to the hundreds of volunteers from around the world. The games are available to be downloaded, played and discussed. Here are some interesting numbers about GGJ 2013. All of us at GGJ want to thank everyone who participated and helped in our 2013 event. Despite a few tech hurdles, we really feel GGJ was a very successful experience for all. We have grown tremendously and we are so happy that everyone had fun. This week we are going to put together an official count and great stories we have heard from around the world to share with you. Read more about Thank You! GGJ13 What's happening around the world? At the time of writing the timezones that started first have already finished the 5th anniversary edition of the Global Game Jam and uploaded the games. Hawaii is the last to finish and will do so around 14 hours from now. Read more about GGJ13 What's happening around the world? Please take our post jam survey, and the extended one if time permits. Your feedback is very valuable to GGJ and could help important research findings. Read more about Take the post-jam survey! Each hour, a DJ from a different GGJ site around the world talks about the GGJ and plays music to keep the jammers entertained. Want to be a DJ? Check this page for info. Want to tune in? Click on the "GGJ Radio" link in the menu above or go to globalgamejam.org/radio. The Game Jam is the perfect opportunity to record a video greeting for next year. Everyone are super hyped and gathered together. 321 sites, 63 countries, all working at once. New Zealand will be finishing first, in about 15 hours. Thousands of people all over the world working on games around the same theme, that of a beating heart. Go jammers go! Read more about The Jam Is On! The Global Game Jam™ is always aiming for interesting and cutting edge speakers for the GGJ keynote video to inspire the tens of thousands of participants around the world. For GGJ13 the GGJ team invited Erin Robinson, award winning indie game designer and Bret Victor, inventor & designer of experimental UI concepts at Apple, to share their insights and ideas with the jammers. At the time of writing: All locations in all timezones have started jamming including Hawaii, which means about 300 sites worldwide are jamming simultaneously! 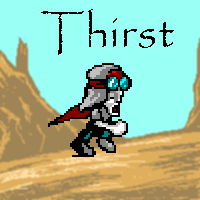 With every GGJ13 location properly kicked off, it is time to reveal the theme for Global Game Jam 2013 to the public! 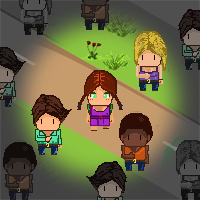 Read more about GGJ13 Theme! So 5pm has come to Europe/Africa/Asia and the Pacific. As of this post we are closing in on 12K jammers - breaking our 2012 record. Welcome everyone! Four locations in New Zealand (Auckland, Wellington, Christchurch & Hamilton) have just kicked off the 5th annual Global Game Jam. Good luck everyone, happy jamming! Each year, friends, partners and sponsors of the Global Game Jam offer an ever growing list of freebies. Want to try out a Corona SDK Indie Subscription free for 3 Months? $500 worth of assets and services with Mixamo? A free GameMaker: Studio license or free 30 day license to Articy:draft? The day of the jam, before 5PM, is usually a good time for a couple of a tech talk, just to get people familiar with some of the technologies they may choose to use for the jam. We have a few videos submitted to us that you are welcome to use. The latest one is a 4 part series from NoOpArmy submitted as gift to GGJ 2013 participants on How to support a multiplayer game in Unity. Also don't miss the tech talks from Mixamo and Corona that we let you know about before. Other submission are welcome in the comments. GGJ 2013 Tech Talks. Read more about Tech Talk Time! Here comes the list that you have been waiting for: The list of Global Game Jam 2013 Diversifiers. The Global Game Jam research committee is proud to announce our acceptance of the following research proposals. The authors of these proposals have a chance to survey the GGJ community during Global Game Jam 2013 in a pre-event and a post-event survey, and submit their findings to the GGJ Workshop at FDG. Congratulations to all. On January 25-27 Over 300 locations & Thousands of Developers Will Jam! SAN LUIS OBISBO, Calif. - January 22, 2013 - Global Game Jam, Inc.™(GGJ) announced that it expects to break its own record with next weekend’s 5th annual game jam. Worldwide, over 300 locations are getting ready in 60 countries to gather tens of thousands of participants who will take part in the 48-hour long game creation marathon taking place January 25−27, 2013. Many new countries and locations have joined the jam this year, from all around the globe, as the event continues to grow in popularity amongst designers, programmers and developers. The tremendous variety of talented participants breeds innovation, while the theme and variety of diversifiers will generate even greater experimentation within the game creation landscape. GGJ continues to be a proven incubator for creating connections between game industry professionals, educational institutes and related fields, and vibrant game development communities worldwide. It's almost time! After months of preparation Global Game Jam is almost upon us! With over 300 registered locations this year and just a couple of days left before the jam kicks off starting in New Zealand, we have officially closed registrations for local hosts. This means that there will be no more new sites added, of course participants can still sign up (if the local site still has openings left). The Global Game Jam team is proud to present a message from the legendary Sid Meier to all participants and friends of GGJ. Sid Meier gives a short, but tongue in cheek advice on how to become a great game designer. SAN LUIS OBISPO, Calif. – January 15, 2012 - Global Game Jam Inc.™ today announced an incredible line-up of speakers for this year’s keynote. The Global Game Jam™ annually presents cutting edge speakers and this year’s line-up promises to keep with that tradition. On board to motivate this year’s jammers are Erin Robinson, award winning indie game designer and Bret Victor, inventor & designer of experimental UI concepts at Apple. The video keynotes are being translated into more than 15 languages to be shown in over 300 locations in 63 countries around the world. The keynotes go live in every location at 5pm January 25th, shortly thereafter the package will be posted to the Global Game Jam YouTube Channel: http://www.youtube.com/user/globalgamejam If you go to the channel now, you can see the GGJ teaser trailer which was created by Adam Barenblat & Amanda Ligman from Cause and FX - A Creative Workshop. The Global Game Jam encourages all kinds of games: Computer, console, smartphone, boardgames, card games, and pretty much everything else too, including geocaches! This week Elonka Dunin, one of the Global Game Jam Directors, and an avid geocacher herself, is interviewed on the largest geocaching podcast in the world, Podcacher. Geocaching is a rapidly growing worldwide game which started in May 2000. There are currently nearly two million geocaches hidden around the world, and five million people playing the game, hiding and finding these caches. In this interview, Elonka explains to the geocaching community what a game jam is, how jam sites can potentially be organized, and how geocachers may want to join game jams to create complex geocaches such as multi-caches and digital GPS adventures known as Wherigos. New York - January 9, 2013 - Global Game Jam Inc.™ (GGJ) today announced a new partnership with Games for Change (G4C), to celebrate G4C’s 10th anniversary and allow GGJ13 participants from all over the world to visit sites that focus specifically on positive social impact. Jesse Schell, renowned game designer, author and Carnegie Mellon Professor will deliver a special video keynote to launch this unique effort on January 25th. Through this partnership, GGJ site organizers will be offered the opportunity to register their site as a “G4C” site, and invite participants to create innovative digital games that go beyond entertainment. G4C has a purpose to raise awareness around real-world issues, promote learning, change behavior or recruit other players to support a cause. With a record 275 sites already registered, the annual event has successfully enlisted new “G4C”-dedicated sites including the MIT Game Lab, the School of Visual Arts in New York, the Art Institute of Portland, George Mason University in Virginia, Bento Miso in Toronto Canada, Akademia Leona Koźmińskiego in Warsaw Poland, the University of Sao Paulo Brazil. By now, it has become an annual tradition. When do we surpass last year's record? This actually happened in December: We officially broke our own Guinness record for the largest game jam in the world. So far we have approved 269 jam sites in 57 nations. Another one (Greece) is being processed right now and is expected to be our 58th. 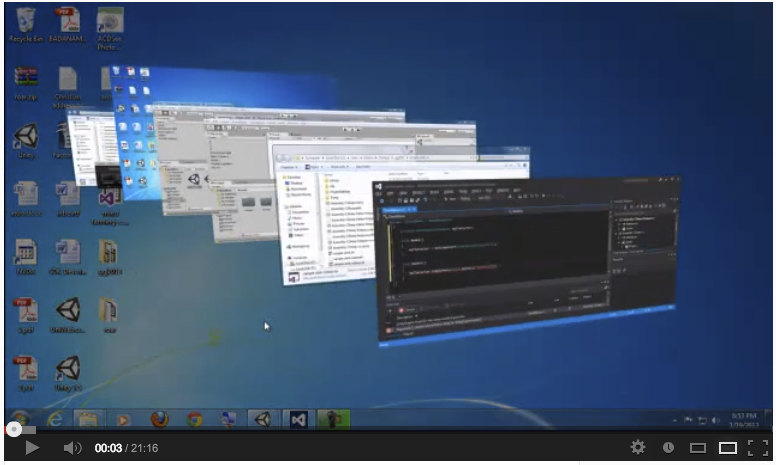 We could actually see more by GGJ 2013. See our live status or our list of locations. Including Greece, GGJ welcomes first-time participation in 10 new countries: Bolivia, Chile, Egypt, Greece, India, Macedonia, Morocco, Nigeria, Serbia and Tunisia. In the past GGJ had locations in Iceland, Northern Ireland, Pakistan and Portugal, bringing to total number of countries GGJ has ever had presence in to 62. SAN LUIS OBISPO, Calif. - December 20, 2012 - Global Game Jam Inc.™ (GGJ) announced that character creation and animation innovator Mixamo will be a sponsor of the upcoming Global Game Jam 2013. The Global Game Jam is proud to announce GGJ Radio. GGJ Radio will be streaming from the Global Game Jam servers and anyone who wants to listen can do so. GGJ Radio will go online when the Global Game Jam starts at 5 PM in New Zealand, and will turn off when the last location finishes in the western Americas. SAN LUIS OBISPO, Calif. December 6, 2012 - Global Game Jam Inc.™ (GGJ) and Le Monde.fr today announced a media partnership where Le Monde.fr will support the 2013 Global Game Jam. Next year marks the GGJ’s fifth year bringing together game developers from around the world to create playable games and functional prototypes over the course of a single weekend. SAN LUIS OBISPO, Calif. – December 4, 2012 - Global Game Jam Inc. today announced that Microsoft Studios & Imagine Cup 2013 have extended their leading role within the games industry by becoming GGJ’s Headline Sponsor for 2013. The Global Game Jam™ is the world’s largest game creation event that fosters the development of innovative and experimental game concepts while promoting global collaboration and teamwork. GGJ is a creative incubator for game makers to challenge, innovate and experiment within their craft. GGJ brings together thousands of game development enthusiasts participating through many local jams around the world on a single weekend. Read more about 186 locations! Academics, game industry professionals and enthusiasts, students, and all involved and/or interested in computer games are invited to submit research proposals to the Global Game Jam Research Committee. SAN LUIS OBISPO, Calif. - November 28, 2012 - /GameIndustryWire/ Global Game Jam Inc. announced today that participant registration sign-ups for the upcoming 2013 Global Game Jam are now open. GGJ asks all interested developers to secure their spot at one of the many worldwide locations. The 2013 edition of the Global Game Jam will mark the fifth year bringing together game developers from around the world to create playable games and functional prototypes over the course of a single weekend. Due to popular demand, we are bringing back the hellos from around the world. Due to the fact that we just had too many things on our plate, we had first given up on the idea, but Kai Lynk from Melbourne Australia has stepped up as a volunteer to help us and you out. Coinciding with the Global Game Jam opening up for jammer registrations for 2013, we are proud to release our new teaser video. The teaser video has been made by the same amazing team that put together the trailer for 2012 and edited together the keynote. Please help us spread the video, and the message that signups for Global Game Jam 2013 are now open!! Jammer registration is officially open! Almost 160 sites are now online for GGJ 2013, and it's time to open registration for participants. Jammers can now register for their favorite jam sites on globalgamejam.org. This is done by editing your user account page, and choosing the right jam location from the pull down menu called "Jam Site 2013". Also, if you are visiting any approved 2013 jam site page, you should see a small block on the right column that has information about current jammers and a link to register for the site. Every jam site now has a /jammers page that shows everyone currently registered online. It looks like Staffs Uni Games Academy already has quite a few people registered! Read more about Jammer registration is officially open! 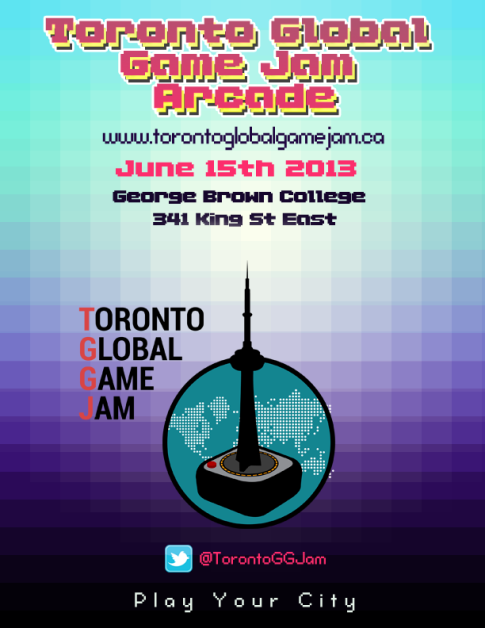 We are proud to present this Global Game Jam 2013 poster. Richard Hogg is an artist & designer, who worked on games such as 'Hohokum' and PSP vita game 'Frobisher Says!' in collaboration with game studio Honeyslug. SAN LUIS OBISPO, Calif. – November 7, 2012. - Global Game Jam, Inc. announced that over one hundred locations have signed up to take part in the next epic global jam. 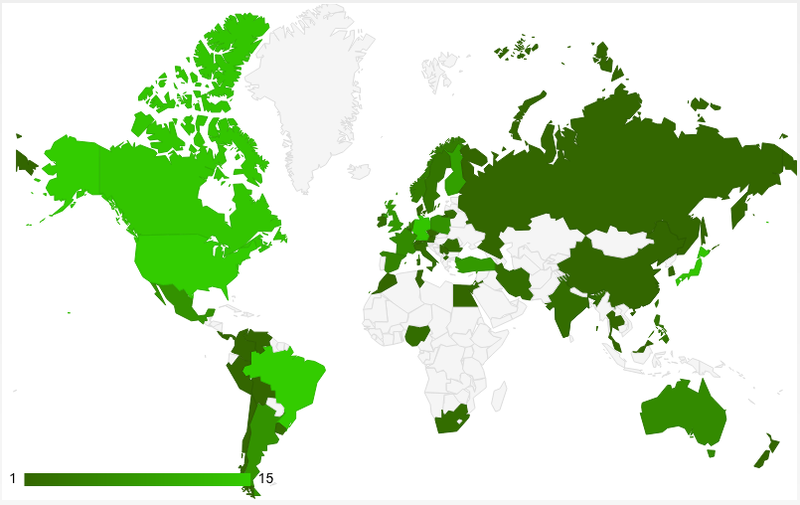 Locations from all over the world are signing up, with 2013 looking like it will be the largest Global Game Jam (GGJ) to date. SAN LUIS OBISPO, Calif. - September 27, 2012 - Global Game Jam, Inc. today announced that it is ready to accept host applications for GGJ 2013 Jam Sites. 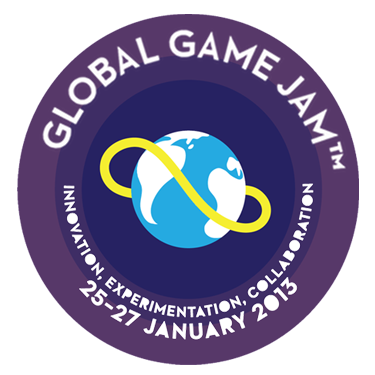 The Global Game Jam (GGJ) will take place January 25-27, 2013, worldwide. Jam site organizers are invited to apply at globalgamejam.org. Global Game Jam is the premier annual game creation event that fosters the development of innovative game concepts and promotes international collaboration and teamwork. GGJ brings together thousands of game development enthusiasts participating through many local jams around the world on a single weekend. GGJ has proven itself to be an incubator for creative experiments and new start-ups. Some of the successes have included games being published and exciting collaboration opportunities for participants. New jam site registrations are now open for Global Game Jam 2013. Applications will continue to be accepted until at least December 15, 2012. To register a new location, follow these simple step. The GGJ 2013 Theme Committee asks for -your- input. Welcome to the new website! As part of a series of changes to Global Game Jam, we have changed hosting facilities and upgraded our website to Drupal 7. It went live with a brand new theme earlier this week. I'm very impressed with our new cloud hosting company Joyent. We met this company at GDC 2012 and it's clear they really value games and have the right expertise for this community. Among other benefits, they spin their own Solaris based OS and server image ("smart machine") with a complete pre-installed and optimized LAMP stack to make hosting easier. We had been using standard CentOS images with Rackspace in the past. But enough about the geeky stuff! Read more about Welcome to the new website! The Global Game Jam (GGJ), a project of the International Game Developer’s Association (IGDA), announced today it will be shortlisted for inclusion in the upcoming Guinness World Records 2013 Gamer’s Edition after being recognised as the World’s Largest Game Jam. Gaz Deaves, Gaming Editor for Guinness World Records 2012 Gamer’s Edition, said: "In a time when games studios are expressing concern over the influx of programming talent into their industry, it's great that Global Game Jam can act as fertile ground to nurture the next generation of superstar developers. This is a brilliant example of what a community of like-minded people can achieve and this record is a strong contender for inclusion in the next Guinness World Records Gamer's Edition." 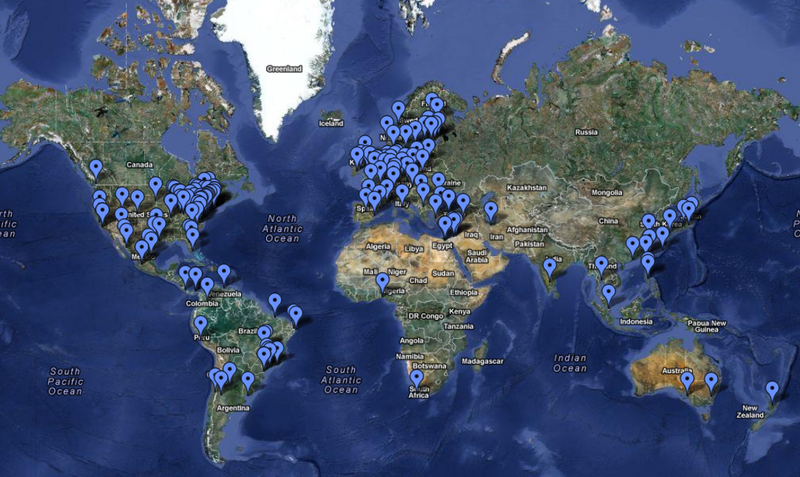 The fourth Global Game Jam was held January 27-29, 2012 in 242 locations worldwide. This year 10,684 individuals participated and 2,209 game projects were created. Jam sites were organized in a record 47 countries, including for the first time in Hungary, Iran, Panama, Peru, Romania and Uruguay. Will you be at the Game Developers Conference in San Francisco this week? Come and meet jammers, local & global organizers, partners, sponsors and other friends of the Global Game Jam at the most multi-cultural event at GDC. Come and mingle, share experiences and meet friends you didn't even know you had. In collaboration with hard-working IGDA volunteer and veteran of the game industry Sheri Rubin, several play parties are organized around the world. '''Play Parties?''' Every year thousands of games get made during the Global Game Jam (GGJ) weekend, but it’s hard for anyone to get through them all and help highlight the hard work that went in over that great weekend. By having post-GGJ play parties we can help make sure as many games as possible get looked at, reviewed, and highlighted around the world. "Read more" for upcoming Play Parties.